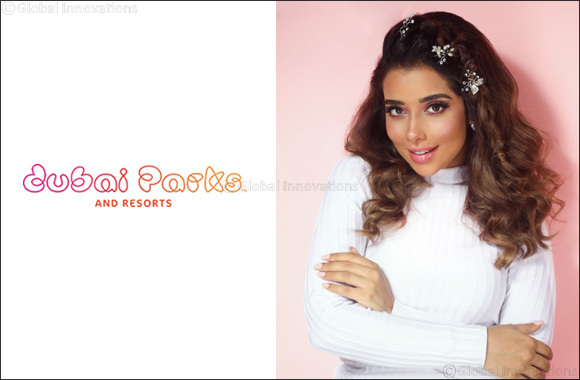 Dubai, UAE, April 16, 2019: Get ready for a fun, family day out at Dubai Parks and Resorts, the largest integrated theme park destination in the region, on April 19th! Renowned Emirati singer Balqees Fathi will dazzle audiences with her melodious voice at 8.30pm in front of the Rajmahal Theater. The celebration marks the launch of the Emirati annual pass for AED 595 which will provide UAE nationals access to all four of Dubai Parks and Resorts’ amazing theme parks. This includes MOTIONGATE™ Dubai, the region’s largest immersive Hollywood-inspired theme park with indoor roller coasters, family rides, shows and play zones; BOLLYWOOD PARKS™ Dubai, the world’s first and only Bollywood-themed attraction dedicated to Bollywood fans; LEGOLAND® Dubai, a unique, interactive theme park for families which brings the well-known LEGO® brick to life in a playful learning environment; and LEGOLAND® Water Park, the region’s first water park catering to families with children aged 2-12. UAE nationals can book tickets online for AED 50 per person to access the concert however, they will be asked to present their identification card at the gate. All Dubai Parks and Resorts Annual Pass holders and guests will still be able to join the celebrations and enjoy rides as well as attractions at standard rates. In addition, guests will be able to enjoy traditional Emirati music, food and entertainment at Riverland™ Dubai, the free-to-enter themed recreational hub. There will also be a parade with stilt walkers, jugglers and entertainers dressed in the colours of the UAE flag, and kids can discover traditional arts and crafts through activities like face painting and henna artists. The celebratory activities will begin at 10am.